Growing up I never really ate a lot of spicy foods. It wasn’t that I didn’t like these foods, spicy was not usually on the menu in our house. Now that I am older and wiser I find that I like a little kick to my food. One food that I find that I like a little spice with is shrimp. 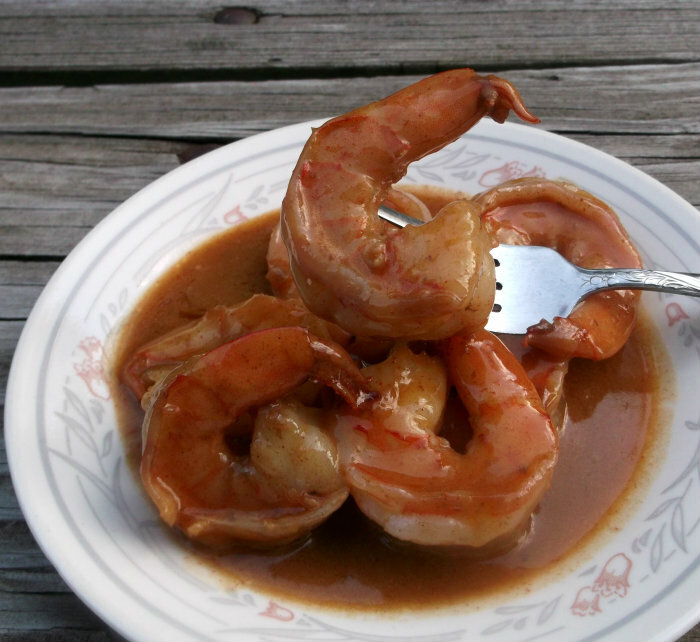 My son Adam had mentioned that we should make some BBQ shrimp, so I looked for a recipe that would fit the bill. 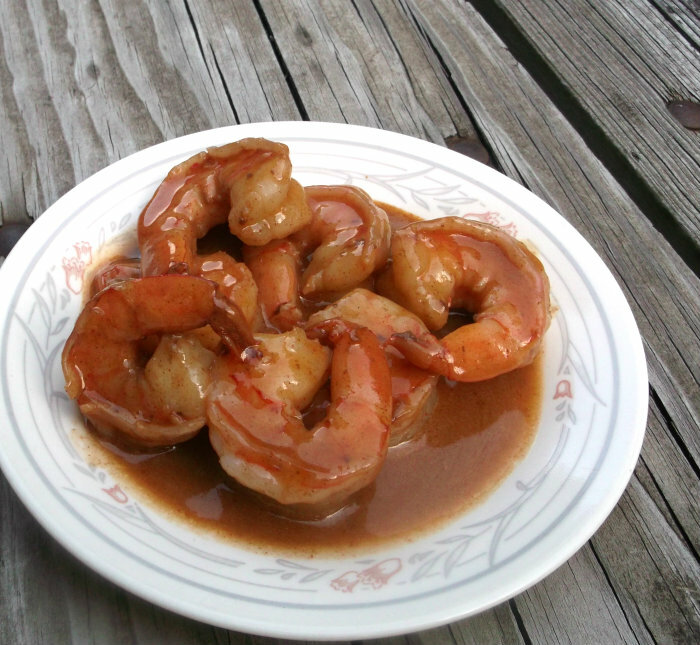 I found a recipe that is called New Orleans – Style BBQ shrimp. Just the name of it makes me think of spicy. It was not quite as healthy of a recipe that I was searching for, but when it comes to food you have to live a little once in awhile. I know I wouldn’t want it every week, but once in a while is okay. The shrimp turned out to have a nice little kick to it, not too hot and so so yummy. Serve this shrimp with a salad and nice loaf of crusty bread for a perfect meal that you will love. I know that I will be making this one again. Place a large skillet on a burner over medium high heat. Add the oil and cook shrimp until they are just about done. 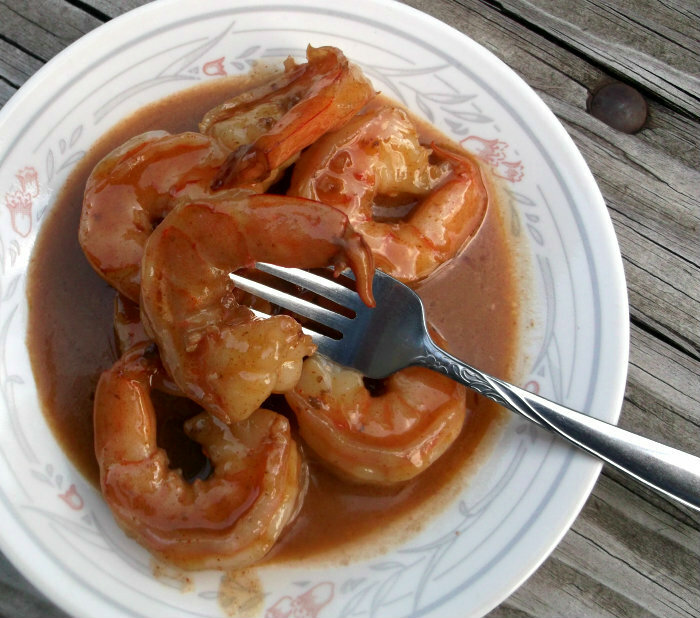 It isbest to prepare shrimp in batches if you do not have a large skillet. Remove shrimp and set aside. Add chopped onions to the oil in the skillet and cook for 1 minute. Add the wine and simmer until it reduces about by half. When the wine is reduded by about half, add chopped garlic, Worcestershire sauce, hot sauce, red pepper, and paprika. Stir while these cook for about 1 minute. Reduce the heat to between medium and low. Cut butter into small chunks with a knife and slowly add into the pan, stirring to melt the butter. Continue to add butter and stirring until all the butter is melted. Add shrimp back into the pan and toss well to coat the shrimp with the butter and seasoning and to heat the shrimp. We’re having a small problem with fresh shrimps, but most probably I’ll be moving to Portugal and then I’ll try for sure. It looks and sounds wonderful. I like my shrimp spicy too. These shrimps look great, lots of flavor with a touch of spice…yum! I love this dish! Totally unhealthy, totally fabulous! I haven’t made this in ages – I definitely need to again. I you are ever in New Orleans, go to Pascal’s Manale, and have this there – theirs is the best I’ve ever had.